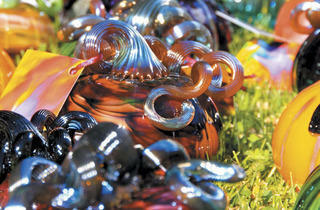 Photograph: Tatiana KaiserGlass pumpkins on display at the Morton Arboretum. Sonny Acres (29W310 North Ave, West Chicago; 630-231-3859. Open through Oct 31.) 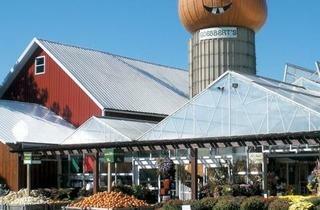 You’ll find plenty of pumpkins at this west-suburban mainstay. 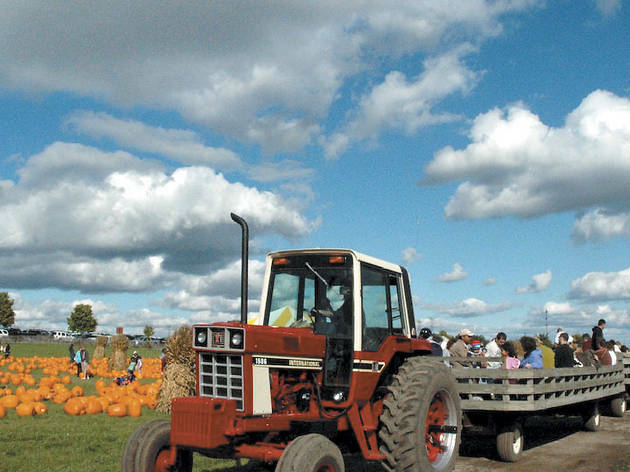 The farm also offers tours, haunted wagon rides, a petting zoo, two haunted barns (one not-so-spooky for younger kids) and a variety of amusement rides. Admission is free, but most activities require tickets. Bengston’s (13341 W 151st St, Homer Glen; 708-301-3276. Open through Oct 30.) 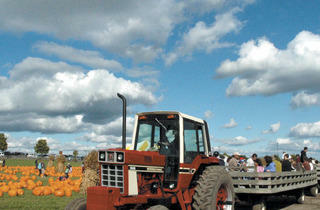 The farm’s annual pumpkin weigh-in (October 2) attracts some hefty gourds, some in excess of 1,000 pounds. Admission ($12, ages 3–10 $10) includes feeding and petting zoos, hayrides, slides, a corn maze and the Bengtsonville Children’s Village (a tiny, kid-sized town, including a fire station, schoolhouse and even a jail). Didier Farms (16678 W Aptakisic Rd, Lincolnshire; 847-634-3291. Open through Oct 31.) 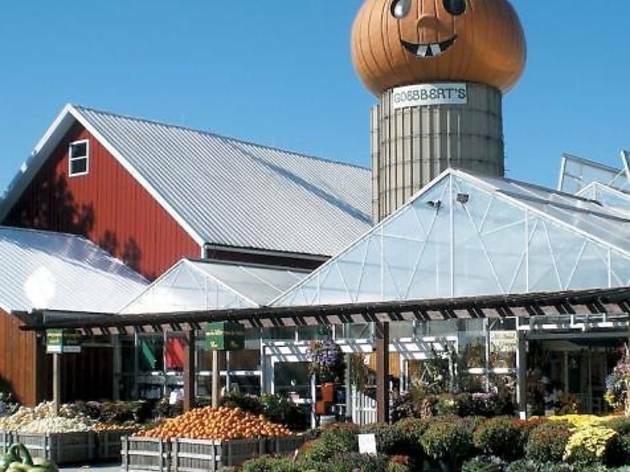 There’s an impressive selection of unusually-shaped and -hued gourds at this suburban fave, plus rides, a corn maze, petting zoo, crafts and a well-stocked farmstand that smells of freshly made donuts. Tickets are required for individual attractions on weekday afternoons and all day on weekends; wristbands are available for unlimited use on weekday mornings ($13) and Thursday afternoons ($17). Morton Arboretum (4100 Rte 53, Lisle; 630-968-0074.) 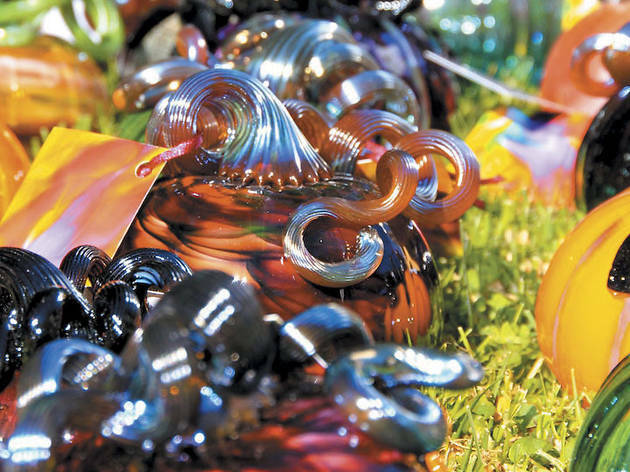 It’s not your traditional pumpkin patch, but from October 12–16, the arboretum fills up with more than 2,000 hand-blown glass pumpkins in all sorts of mesmerizing colors, shapes and sizes. They’re on display until 1pm October 14, then go on sale through October 16. Artists are on hand all weekend to answer questions—and when it comes to glass pumpkins, we bet kids will have a few.